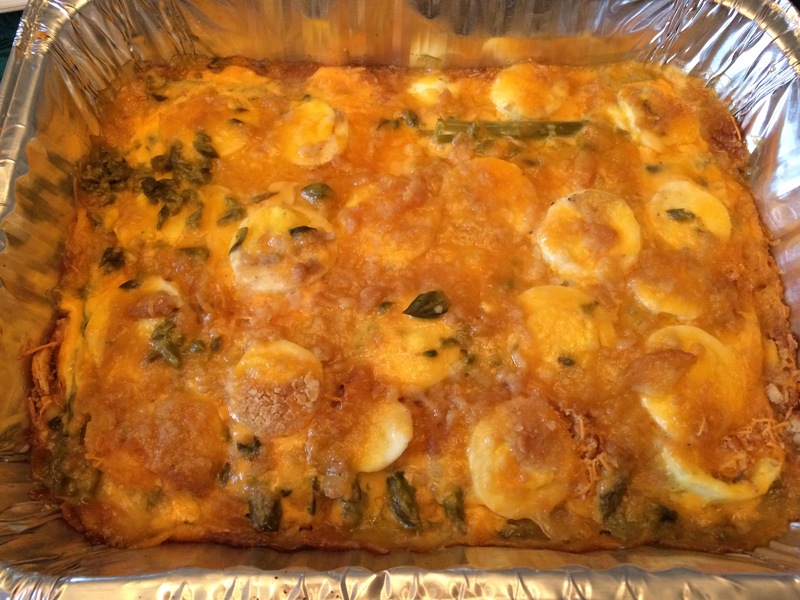 You know those certain recipes that you will forever link with one certain holiday or event? I don’t know about you, but every Thanksgiving there were certain dishes that were always there and we never got sick of. Seriously the best part of Thanksgiving for me as a kid was getting to eat those things that you usually would never make for anything other than a holiday. 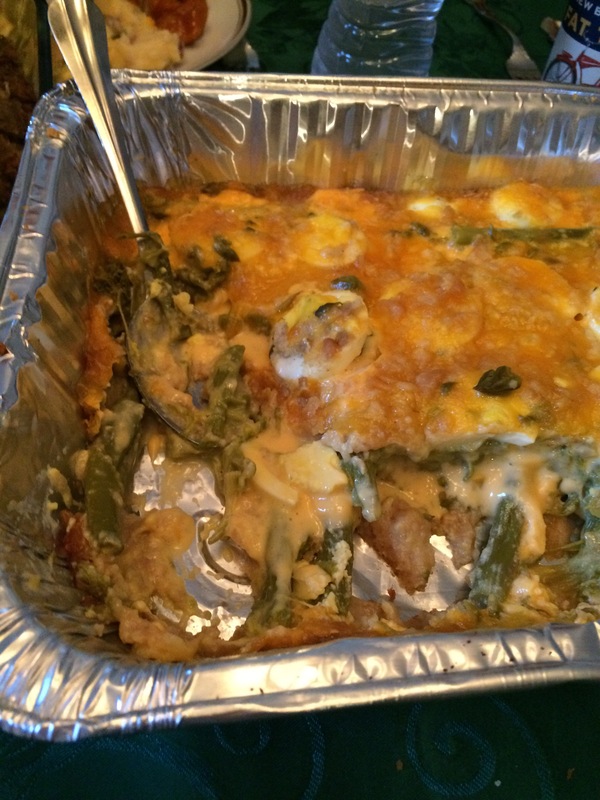 For example, my mom’s Asparagus Casserole. 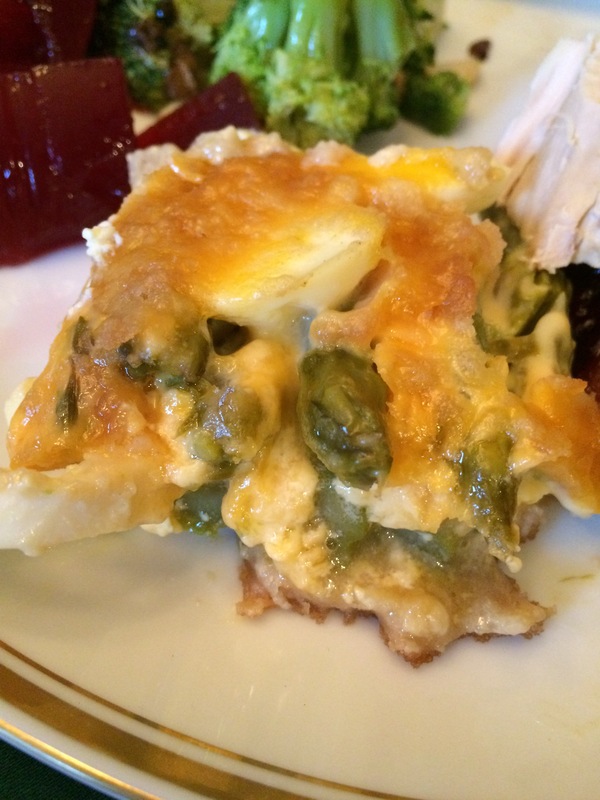 Asparagus Casserole is the epitome of holiday comfort food for me. Ever since I moved to New York I usually can’t go down to Virginia for both Thanksgiving and Christmas every year. And definitely since Matt and I are engaged we will be switching holidays at our families’ houses from now on. This year we spent Thanksgiving with Matt’s family in Jersey, which was wonderful and perfect. So I decided to bring the Asparagus Casserole since this time of year I literally crave it all the time. I remember my first Thanksgiving in New York without my family and not really knowing anybody yet, I made an entire Asparagus Casserole for myself and ate the whole thing watching TV alone. Sounds sad, but it was actually glorious. Of course there were so many things that I could have brought to dinner so I really heavily debated bringing the Asparagus Casserole. The reason being: It’s a totally Southern dish that some people may not have the palate for. It is literally a mound of processed cheese and canned food. Mmmmmm. That description is literally heaven to my ears, but I wanted to be sure that it wouldn’t be too overwhelming or heavy in a massive Thanksgiving dinner. Anyways, Matt loves the casserole too and practically begged me to bring it. Randomly, I was watching Food Network not too long ago and I saw that Trisha Yearwood has a very similar recipe. See, it must be a Southern thing. She of course made hers on her show with fresh asparagus and béchamel-cheddar-cheese-sauce to make it all fancy, but I’d be willing to bet that it’s not the way she learned it. Nothing like good canned asparagus and Velveeta! Line the bottom of a 9×13 dish with cracker crumbs, enough to make a base layer. Then line the asparagus closely together on this, but not overlapping. Add half the Velveeta slices, spacing them out evenly, and then the three sliced eggs on top of the cheese. Add salt and pepper. Do another layer of asparagus but rotate the spears so that the heads of asparagus are now flipped to where the ends of the last layer of asparagus are. Add another layer of Velveeta and eggs. Pour a layer of cracker crumbs on top. Add juice from 1 can of asparagus on top of the casserole. Pour a splash of milk over this, maybe ¼ cup, just enough to get crumbs wet. Then layer a generous portion of cheddar cheese on top over the crumbs. Cover with aluminum foil. Bake at 350 for 35 minutes. Uncover and bake for 5-10 minutes at 325. Serve and enjoy the cheesy goodness!